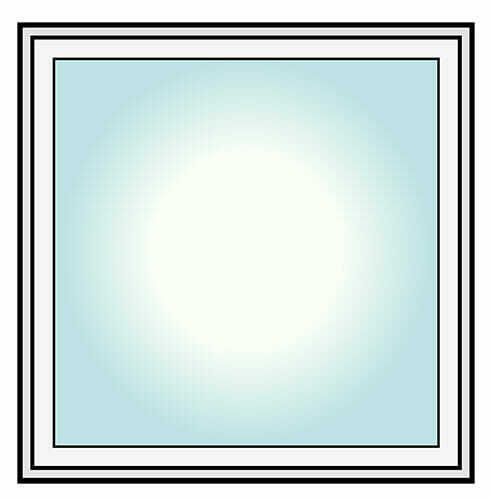 Vinyl, Fiberglass, & Wood Replacement Windows | ALCO Products Inc. According to the National Resource Defense Council, approximately 1/3 of all energy losses happens through your windows. Replacement windows are one of the best ways to enhance the look and feel of a home while making it more energy efficient. The market’s newest windows conserve energy, reduce noise, and reduce heating and cooling costs – and look good while doing it! Because our weather is hot in the summer and cold in the winter, we have to find windows that can meet our energy demands in multiple seasons while still providing security against wind and other weather patterns. Your windows not only need to be able to keep out the hot light in the summer, but need to keep the warm air inside your home in the winter. And if they could open to let the breeze in during spring & autumn, but close tightly during thunderstorms, that would be absolutely perfect, right? Is your house hotter in the summer and colder in the winter? Do you feel a draft when you’re trying to relax in your living room? Have you noticed that your energy bill is higher than it should be? It’s really easy to determine that you need new windows when they’re rotting, becoming difficult to open or close, or are simply no longer attractive. But old windows don’t have the new window technology that allows you to lower your carbon footprint and STOP dealing with all the heating and cooling difficulties that you’re having because of your old windows. Today’s residential replacement windows are up to 4-times as energy efficient as windows manufactured just 15 years ago. New windows are being manufactured with solar coatings that protect your home against radiant heat and harmful UV rays. In essence, your home will be cooler in the summer and warmer in the winter… AND your furniture and possessions will be protected from fading. Not only do new windows have solar coating, but the materials from which they’re made have improved drastically in recent years. There are multiple options that are energy-efficient… meaning you can lower your carbon footprint AND keep your home comfortable. In addition to reducing your carbon footprint and making your home more comfortable, today’s windows come in a variety of options to match any architectural style, design and personal taste. Our storm windows alone are available in 16 decorator colors! Gone are the days when a homeowner’s interest in windows was limited to whether they could find stylish window treatments. Today, energy-conscious homeowners want to minimize the costs of heating and cooling their homes, and selecting the right windows is a crucial step. So how far should you go when choosing energy-efficient windows? The key is knowing what window upgrades will give you the biggest bang for your buck without delivering a blow to your bottom line. U-Factor is the rate at which your window allows non-solar heat flow. This means how much heat is lost or gained when there’s NOT direct sunlight shining through the window. The lower the U-Factor, the more energy efficient the window is. Air Leakage is the rate of movement around your window. A window with a low Air Leakage rating has a tighter seal that one with a high rating. Proper installation is critical to getting the most out of your replacement or storm window investment. A properly installed double or triple pane window can mean the difference between enjoying energy savings and feeling the breeze (around a poorly installed frame). Which is why we custom measure and design every window to ensure a perfect fit. Windows are a great opportunity to update your home aesthetic while enhancing its physical structure – a winning combination which will make a clear difference! After you’ve chosen your new window style and all the design elements with your Design Consultant, our team will get to work removing your old window and replacing it with your brand-new window. At this time, our consultant will also review the property you have near and around your window and advise you of what needs to be removed from the area to prevent breakage. As a policy, any fragile or valuable items will be removed by you only, to prevent any damage to your items. Our team will remove the existing window carefully, taking with it any trim that’s on the inside of your home. We will save the trim for reuse after the window is installed, unless it becomes broken or is unusable. The old window, unusable trim, and any debris will be cleaned up and disposed of carefully. Our team will inspect the opening for moisture, mold, mildew or rot. If we find any, we will alert you and discuss a plan for replacement of the rotted materials. Additionally, we will give you the opportunity to perform a visual inspection. Next, we will use low-rise spray insulation around the area to increase your home’s energy efficiency and prevent any air from leaking into your home. We will set the window into the opening using appropriate fasteners to keep it there permanently. After this, we will spray more low-rise foam insulation around the window to create a more airtight seal. In addition, we use caulk around the outside trim to ensure that it’s weatherproof. We will replace the interior trim with new material or the materials we saved and ensure that it’s sealed and installed tightly. Outside, our team will bend a piece of aluminum coil around the existing wood trim to match the window. This coil protects the wood so that it doesn’t rot or chip and also creates a beautiful finished look. We finish the outside with an exterior-grade caulking to aid in weatherproofing your newly installed window. ALCO stands behind not only the workmanship we provide, but the products we use. If your new window is still under manufacturer’s warranty and there is a defect with the materials, ALCO will provide labor free of charge to repair or replace the product that we installed. Additionally, any product we install on or in your home will be free of defect due to faulty workmanship for the lifetime of the product’s manufacturer warranty. That means if you need your window(s) repaired or replaced because of something ALCO or the manufacturer did, we’ll come and do the work for free. 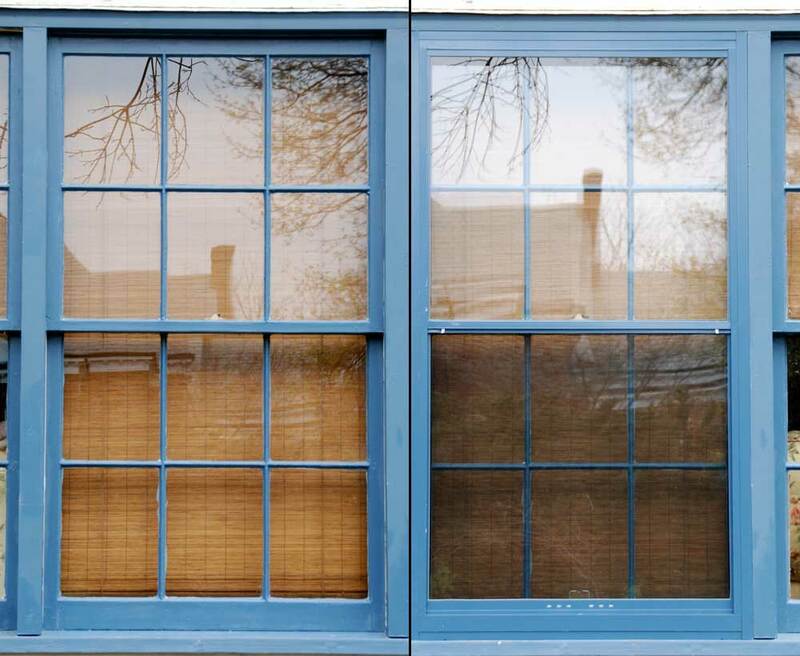 Whether you’re replacing your existing home wood window or you’re ready to upgrade your vinyl replacement windows. Marvin Ultimate Wood Clad Windows is the premier window choice for your home. These windows are designed to not only make your home look beautiful, but to improve your energy efficiency and security as well. Marvin Ultimate Wood Clad Windows are available in many different window styles, including Double Hung, Casement, Glider, Single Hung, Bay, Bow, Hopper, Tilt Turn, and Awning. This means that you’ll be able to choose a Marvin Window for your home no matter what your window needs are. Did you know that you don’t have to replace your window with the same type of window? Many homeowners don’t even consider what other kinds of windows might be easier or more beautiful in a specific area, but we can help you choose the right window for you. For instance, maybe replace a double hung with an awning-style window over a sink. Simple changes like this can make big differences in your space! Marvin has an abundance of options to match the current style of your home – from the interior wood species to the exterior color or wood option. With 6 wood species and 19 standard exterior cladding options, Marvin’s standard options are enough for most homeowners. But Marvin Windows can also be custom colored to match any color you want to work with your existing palette. Schedule your complimentary design consultation today and let’s meet in person to choose the new windows for your home. Finding the right material for your luxury home can be a challenge. Wood windows oftentimes require heavy upkeep, while vinyl windows just don’t have the right look that you want for your home. Add in any sort of inclement weather, and you need a window that not only looks great, but exceeds the rest in durability too. The Integrity line by Marvin Windows is exactly what you need for a maintenance-free, high-end window that brings the best in energy efficiency and strength. Made with their patented Ultrex Fiberglass, Integrity by Marvin windows are over 6 times stronger than vinyl windows and resists fading, chalking, peeling and cracking… which means your investment will look “good as new” for years and years to come. Unlike vinyl windows, you can paint your Integrity by Marvin window – so in addition to the standard manufacturer colors, you can customize your windows to match whatever hue your home has. But if you choose the Ultrex finish, know that Ultrex is the first and only fiberglass finish to be verified to any of AAMA’s 624-10 finish specification for fiberglass. Finally, your windows are no longer just something in your walls – they’re a part of your home’s overall design! Integrity by Marvin can give you a wood look that far surpasses anything vinyl windows can offer… in fact, the only thing better is a wood window itself! You can choose to have an all fiberglass window or a fiberglass exterior and true wood interior – bringing even more luxury into your home and creating a unique style all your own. Ultrex windows are designed to expand and contract at nearly the same rate as glass – which means there will never be any unstable gaps or drastic shifts in your window – no leaks or warping! Plainly put: Your good, comfortable air stays in, and the elements stay out. Plus, the windows are designed to work with the glass panes in unison – extending the life of your window and making your investment more sound by the minute. But even more than that, you’ll have the opportunity to fully customize the energy options that are included in your window. From Low-E glass (to reduce the UV rays that come through your window to Argon Gas (filled in between the window panes to reduce the heat conducted through the glass)… your new Integrity by Marvin windows will keep you living in comfort and luxury. When you’re searching for the right windows for your home, it can be tempting to buy the most affordable window and not think twice. And those aren’t jobs you should be trusting to just any old windows. That’s why ALCO has partnered with Vinylmax to design windows to fit your home – custom ordered, every single time. Vinylmax Edison replacement windows never chip, peel, fade, crack or rot, so they’re virtually maintenance-free. They’re easier to install, work better and last longer. And what’s more… they’re backed with a transferable limited lifetime warranty. Why Did We Choose Vinylmax? We have high standards for the materials we put in and on your home. They have to do what they say they’re going to do – be as strong as they should be and perform to our superior standards. After all, if we’re going to put our name behind something – it’d better be great. The Vinylmax Edison window is produced in the United States by Vinylmax at their state of the art manufacturing facility. We have worked with them to design 3 different packages to meet the needs of homeowners in the Maryland, DC and Virginia area. Our unique weather systems and patterns means that you need a window that can withstand heat, humidity, snow, rain, and anything else that mother nature can throw at it. With our 60+ years of experience installing windows & doors in the area… we know what is best for your home. Every Vinylmax Edison window comes standard with a low-e coating and argon gas, to meet or exceed energy star requirements in this region, with upgrades for triple pane glass, and foam filled frames. Every Vinylmax product goes through a rigorous process of quality control to be certain it meets our expectations. Vinylmax windows are undergoing continual research and development and constant engineering advances. Not only is our focus on a strong window, but a beautiful one as well. The Edison 3 Plus Window is our very best, top-of-the-line vinyl window. Top-of-the-line design mixed with a range of premium enhancements and the best energy efficiency meet to provide you with the most beautiful and durable window for your home. The exclusive Intelliglass Plus Triple pane glass and fusion-welded sash delivers superior thermal and structural performance – which means the Vinylmax Edison 3 Plus Window is the last window your home will need for a long, long time. Available in multiple colors, a full flex screen standard, and Vinylmax’s upgraded Sentry Lock system, the Edison 3 Plus will meet every one of your home’s aesthetic and energy needs. 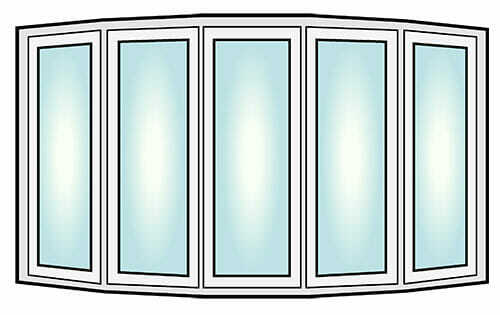 Also available in a picture, bay, bow, hopper, slider and garden windows! The design options are endless. The Edison 3 offers a clean, modern look with an upscale twist. The Edison 3 is built on the same Edison platform, but comes standard with their exclusive Intelliglass Plus triple pane glass. Both sashes operate (so you can get ventilation from the top when you want to keep pets or children from pushing on the screen!) and tilt in for easy cleaning. The Edison 3 has weather stripping and a rubber bulb seal to block air infiltration and weep holes allows for easy water run-off – which protects your home from the elements and conserves your energy. This means your home will be cool in the summer, warm in the winter, and always dry. In addition to the double-hung vinyl window shown above, the Edison 3 also comes with a full line of bay, bow, hopper, slider, garden and picture windows, which means the design possibilities are endless. If you want an unobtrusive but high-end window for your home, the Edison 2 Window is the right choice for you. The Edison 2 comes standard with their exclusive Intelliglass X double pane glass, with Low-E and Argon to exceed energy star ratings in this area. The reinforced multi-cavity construction offers additional thermal protection and structural integrity, which means the Edison 2 Window will last for years and be beautiful just as long. Whether you’re looking for a double-hung, bay, bow, hopper, slider, picture or garden window… if you want a window that lets the rest of your décor shine (while still giving you a clean, luxury look), the Edison 2 is the window for you. Are you ready to see the difference Vinylmax Edison windows will make for your home? Call us at 240-450-2416 or Click Here to request your complimentary design consultation. Alco creates custom-made windows for your home, which means you can design them to match existing windows, meet a design requirement for your personal taste, or complement the architecture of your home. Choosing a window for your home means deciding what function you want your window to have as well as the look that you want to achieve. These windows are ideal when you want low-maintenance windows that are easy to clean. These windows withstand the elements and do not require repainting on the inside or outside. They offer the best heat and sound insulation of all window types that we offer. Many of our customers love the ease of these windows. The best of both worlds, combination windows offer the beauty of wood on the interior and the hassle-free maintenance of vinyl on the exterior. Our customers that opt for the combination window do so because they want to achieve a certain look but don’t want to expose wood to the elements. Once seen as a specialty product fiberglass windows have quickly gained popularity. The reason is quite simple; fiberglass is a strong material, which out performs most materials. Windows made from fiberglass won’t bend easily and flex less. Window strength is important because it prevents windows seals from breaking, or operating properly and prevents the expansion and contraction of a window compromising their structural ability. Windows have traditionally been made of wood for years, and it’s still a popular choice. These windows can be stained, painted, or treated with only oil – so they’re very versatile and fit into any decorating style. Wood windows do require more maintenance than vinyl, but many of our customers have found that the extra maintenance is worth it! Double Hung Windows are the most common replacement window type in the Mid-Atlantic Region. The main characteristic of double-hung windows is that both the top and bottom sashes (both parts of the window) are able to open. This is especially helpful when you want to open the top window to protect children and animals, or simply to change the airflow throughout your home. Additionally, the top sash will tilt-in for easy cleaning – a must-have on the second or higher floor of your home. These windows do not project, which means they stay flush with the wall of your home. You won’t have to worry about windows extending into deck or patio areas or over walkways. This also allows you to leave your windows open in the rain, provided the wind isn’t driving the rain against that particular wall of your home. Because they are flush with the side of your home, they still offer a small measure of protection from the elements even when they’re open, unlike other styles of window like hopper or casement windows. Double hung windows come in many different materials – like vinyl, fiberglass, metal and wood – although vinyl is the most common type of replacement window. 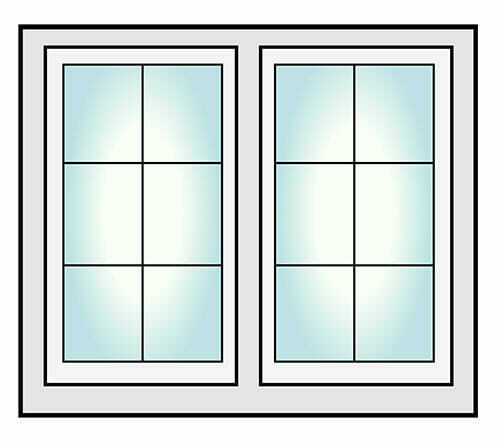 Traditional double-paned windows have between 2.0 and 3.0 R-Rating. Many window companies, like Alside, offer energy efficiency packages for your windows that combine multiple methods (from glass coating to gas filling) to increase the overall energy efficiency of your new windows. Hardware for the double-hung window can be as varied as the design in your home. Whether you choose decorative or functional handles or a window with built-in handles, your options are nearly unlimited. Additionally, you can choose the interior finish to match your décor – from light colored woods like pine to darker color woods like dark oak or cherry. Your individual options will depend on the manufacturer and ALCO can discuss those with you during your initial design consultation. Now, you can find picture windows with double panes and grid designs – which not only enhances the design element, it also makes the window easy to replace should a pane become chipped or broken. This new design also increases the energy efficiency of the windows, as the double panes provide more insulation than a single pane window. The downside of picture windows is that they are non-opening windows – this means that they will not add to the ventilation of your space, and they must be cleaned from the outside using a ladder or extending brush. When you’re choosing a picture window, you’ll want to choose one with a low Solar Heat Gain Coefficient (SHGC), which measures the amount of heat from the sun that your windows block. Because your picture window is likely to be in a place where your interest is in preserving the view, you don’t want to rely on heat and light blocking drapery, especially when your window can be used to reduce that energy loss. This is accomplished by changing the Low E Glass Formula to either increase or decrease SHGC. A good number to strive for, especially for west-facing windows that receive the brunt of afternoon sun, is 0.25 SHGC. 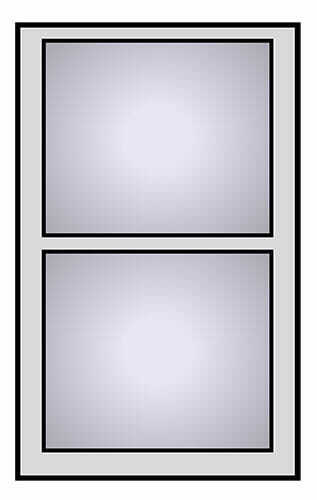 Picture windows do not carry any hardware – as they don’t open. However, you can choose finishes both interior and exterior to meet your specifications – and in many cases, you can paint your window to match your aesthetic. Casement windows are windows that swing out using a crank mechanism. They’re best suited for areas where the window will not obstruct decks, patios or walkways. Casement windows come in multiple materials, including vinyl, metal and wood, and can easily be customized to fit any design aesthetic you desire. Additionally, you can get windows without the muntins (the bars in between your windows) or with the muntins, depending on your preferences. The hardware on these windows can change the way your window looks and help you match your existing décor even more – the cranks are available in multiple finishes straight from the manufacturer, or you can find replacement cranks online to match your exact aesthetic. Casement windows are the only window type that will allow you to open the entire window – which is ideal if your home doesn’t have central air conditioning or even if you simply like the feeling of having your windows completely open. Additionally, you can take advantage of side breezes that happen if your home sits at a specific angle that doesn’t permit the wind to come in through traditional windows. For homes that are built very close together, this is a great way to take advantage of the breezes that come through that small space. Casement windows offer excellent protection against air infiltration because the wind outside actually presses the window up against its seals – which means the rate of drafts and energy loss through a loose seal is greatly reduced. Casement windows are generally recognized as one of the best windows in regard to air loss. When you’re looking at Air Leakage Ratings (AL Rating), you want to choose the lowest AL Rating possible for your budget. 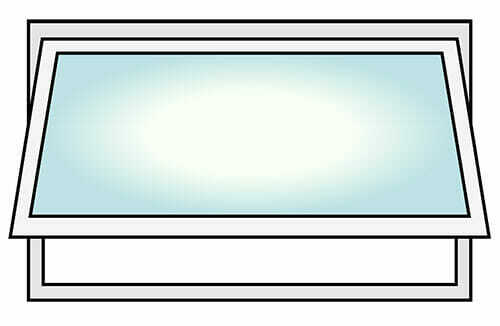 This is the measure of the rate of air leakage through the window in the presence of a specific pressure difference. Not all companies measure and publish the AL Rating, but those that choose to measure it are required to have a rating of 0.3 or lower. Lastly, casement windows are difficult to break into because of the shape of their latches – casement windows have hooked-shaped latches instead of straight-screw latches like double-hung windows. If security is a big concern, you may want to consider casement windows as a solution for you. Slider windows are ideal for tall spaces where you cannot open a casement window but a double-hung window doesn’t provide the aesthetic design you’re looking for. Sliding windows are just that – they slide from side to side in order to open them. They run along a track, much like sliding glass doors. They don’t require a lot of dexterity to open them, which makes them a good solution for most homes. Slider windows are more durable than other styles, as well, because of their construction. Instead of relying on springs and pulleys, slider windows run on a track and use simple mechanics that won’t fail as quickly over time. Many sliding windows are now being designed with tilt-in sashes for easy cleaning from the interior, no matter what floor you’ve installed your window on. Sliding windows have multiple options with the size of the windows, the number and style of panes, and the materials with which it’s constructed. You can choose from multiple colors and finishes – which means you’ll be sure to find a sliding window to meet your needs. Generally speaking, the lower the rating (both U-Factor and AL Rating), the more energy efficient your product is. 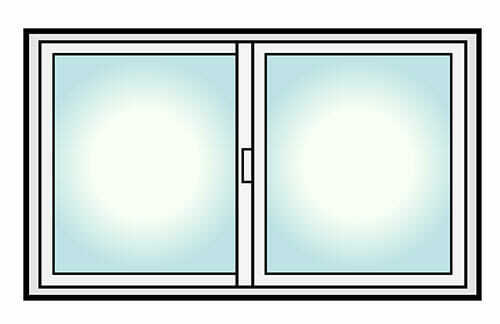 The first thing you want to look for in a sliding window is a dual or triple pane option – then you have the option of including insulators in between the panes, like Argon or Krypton gas. Then you can choose the type of spacer you want in between your panes (this is not the muntin – the cross shaped bar in your window – but an unseen piece of the window itself). Aluminum is the most common, but is thermally conductive, which means it will aid in heat loss. You can choose stainless steel for a stronger, more durable option or foam for a stronger vapor seal. No matter what you choose for your sliding window, you can find one that meets your budget, aesthetic and energy requirements. If you’re thinking about installing a large window in your living space, consider a bay or bow window. Both styles will provide you with expansive views, as the windows themselves are larger than most standard double hung, casement, or slider windows. These windows will give you the view that a picture window provides, but with the ventilation and cleaning options of a double-hung window. Additionally, this style of window will make the room appear larger than it really is because of its bowed construction. This style of windows helps to make your room appear larger with physically more space, but can also give a design element that your home is missing – a ledge or windowsill. These windows in a kitchen, for instance, provide space for an herb garden; in the living room, a cozy spot for the family cat; in your home office a place to display your prized family photos. Bay windows are a series of 3 windows of varying sizes. 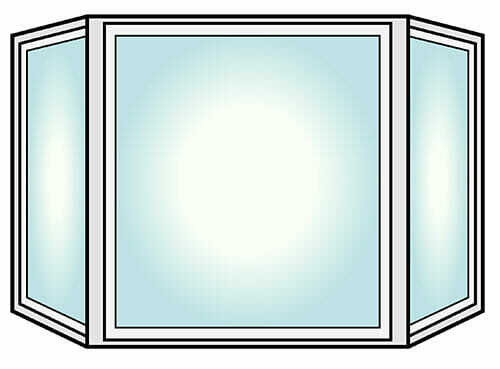 The window in the center is typically the largest of the three windows, and the angle is typically sharper than a bow window. Bow windows are a series of five or six windows, all of the same size. The size and number of the windows allows the entire piece to bow more gradually than the bay windows, which gives it a curved appearance rather than the sharp lines of the bay window. Bow windows also tend to require more hardware than a bay window, which is a consideration if you want a completely unobstructed view. Bay and bow windows, because of the multiple options with layout and design, offer varied degrees of energy efficiency. When you’re choosing your window, consider the Solar Heat Gain Coefficient (SHGC), as you’re not likely to cover this large area with heat and light blocking drapery. The SHGC is used to measure how well windows block heat that radiates into your home from the sun. This is especially important if your window is located on the east or west-facing side of your home. This is where the sun is strongest – west giving you afternoon sun, east giving you morning sun – and these sides of your home are typically more difficult to control heat and temperature fluctuations without the use of drapery. SHGC is measured on a scale from 0 to 1, and the lower the number, the less solar heat is transmitted into your home. On the west-facing side of your home, strive for an SHGC of about 0.25 to prevent the summer sun from raising your energy use substantially. Both Bay and Bow windows are said to increase the value of your home, and many homebuyers say that the window is the first thing they notice when they tour a property. Many ALCO clients who have this type of window installed say they only wish they’d done it sooner! Basement windows are unique in the home, mostly because of their location. They’re often located very close to the ground, and sometimes are even partially or fully underground in a window well. 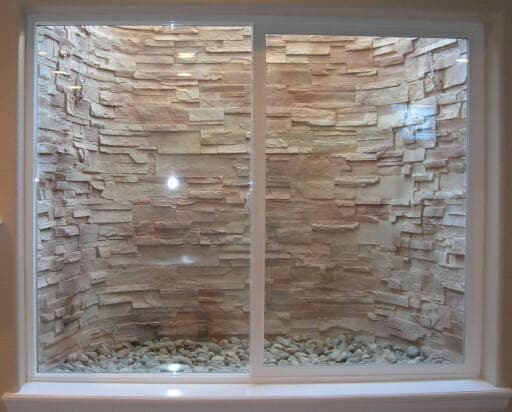 Although it’s sometimes filtered, basement windows can provide a measure of natural lighting where you would otherwise rely on artificial lighting. Basement windows can also provide a source of ventilation for temperature or to clear a room of fireplace smoke and heat. They also increase the value of your home. Basement windows are typically sliding windows – opening from side-to-side and with very little mechanical parts – and are very durable. You will also see hopper (open from the top of the sash) and awning (open from the bottom of the sash) depending on your window’s location and what’s best for your home. What Energy Efficient Measurements Should You Look For In Your Basement Windows? As basement windows typically aren’t getting a lot of light and wind is not often a factor, you don’t have to worry about the Solar Heat Gain Coefficient or Air Leakage ratings the way you do with windows on main and second floors. For your basement windows, you should look for windows that meet your needs in regard to the U-Factor. The U-Factor measures how well your window prevents heat from escaping (or entering ) your home. Typical ratings are between 0.2 and 1.2 btu/h per square foot. Most manufacturers offer energy efficiency packages that combine several methods of insulation and protection – from insulating glass units, multiple panes, and the introduction of Argon or Krypton gas in between the window panes. Basement windows, like all windows, are not impervious to flooding, so extra care should be taken if your windows are below grade or using window wells. When you work with ALCO, we can help you ensure that your window-wells drain properly to prevent water intrusion. A hopper window is hinged at the bottom and opens at the top inward, and is most often found in basements because of the ventilation they offer and the amount of light being let in from only one sash. Hopper windows, like casement windows, have a seal that increases when wind pushes up against it, which means that your Air Leakage (AL) rating is not as much a consideration as other ratings. The main rating to be concerned with is the U-Factor – the measurement of how much or little heat is lost through your window. . Typical ratings are between 0.2 and 1.2 btu/h per square foot, and the lower the U-Factor, the less heat is lost through the window. Why Choose Hopper Windows for Your Home? Generally speaking, you’ll want to choose a window with the lowest U-Factor possible for your design aesthetic and your budget. Hopper windows work like casement windows with a crank mechanism to open and close them. It’s possible to open these windows completely as long as nothing is in the way of the window’s design. The cranks, like casement windows, also offer an additional design element that can be tailored to meet your home’s aesthetic. The cranks are available in different styles and finishes, either from the manufacturer or after installation. ALCO can help you find these details during the project. These windows are also extremely easy to clean because they open inward. In some instances, you can pair a hopper window with picture windows or casement windows to meet your design aesthetic – and hopper windows are available in a variety of materials, finishes and colors to match your home. Storm windows can be installed on both the interior and exterior of the primary window, and are made of a variety of materials. Some storm windows, like those made of laminated glass offer a high degree of resistance to breaking during storms or from intruders, while others’ primary function is to reduce the airflow from outside and to reduce your energy costs. Storm windows are ideal in historic environments where the windows serve to maintain history and in apartment or rental situations where replacing the window isn’t an option. Storm windows not only protect your home from the elements, but the window as well. This is helpful again in historic environments where the window is an architectural part of your home. Storm windows come in a variety of materials, from aluminum to vinyl, and can be customized to meet your home’s aesthetic needs. Another application of storm windows is in the increase of energy efficiency throughout your home. Low-emissivity (low-e) windows are coated with an ultra-thin, virtually invisible layer of metal that reflects infrared heat back into your home. This means that installing storm windows on your home in the winter will allow you to retain more of your home’s heat, reducing your energy loss and potentially decreasing your energy bill by 12-30%. However, there are risks of condensation building between your original window and the storm window. In order to minimize this risk, ALCO can ensure that your original window is as air-tight as possible before installing your new storm windows. Like a bay window, garden windows extend slightly from the house, although they’re typically smaller than bay windows. Garden windows have an interior ledge that’s designed to hold flowers, herbs, or other plants – and the window’s shape is designed to capture more sunlight for those plants to thrive. Garden window’s design comes directly from the concept of a greenhouse – the sun’s heat is captured through the glass and the area inside is heated moreso than in a traditional window. Garden windows are most effective with the R-value (the measurement of how well a window blocks heat transfer) lower than other windows. You can find garden windows in many different materials and finishes, the most popular being a vinyl window because of its ability to avoid rot and its low maintenance requirements. Additionally, vinyl has a greater resistance to condensation, which is especially a consideration if you’re growing more tropical-style plants. Some people choose a garden window for the aesthetic value rather than the ability to grow plants – in this case, there are many options for energy efficient windows like low E glass and Argon insulation. These options will reduce the impact the sun’s heat has on your home. When choosing a location for your garden window, the same consideration should be taken as with bay or bow windows – as garden windows extend from the side of your home, they can interfere with walkways, patios and other high-traffic areas. Egress windows are designed to allow safe exit from a basement bedroom in case of emergency. They are required by building code in order to allow someone to live in your basement, or list a basement bedroom as a bedroom during resale. An egress window is simply a window that’s large enough to facilitate escape in case of an emergency. The type of window doesn’t matter as long as it opens large enough for an adult to exit the home. Although code and law varies from city to city, egress windows are required by law in all bedrooms of your home. 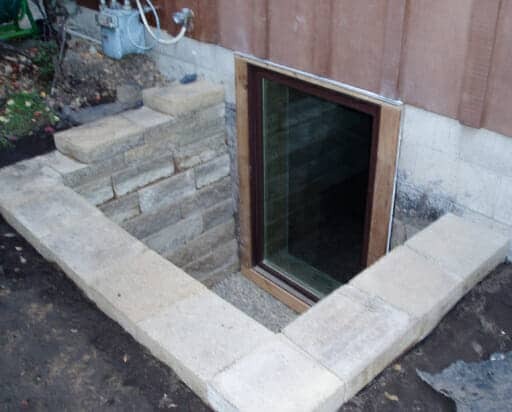 In most homes, this is done at the time of construction; but if you add a bedroom or finish a basement with a bedroom after your home is constructed, you will be required to install an egress window in that location. If you’re installing an egress window in a basement, your best option will be a casement window. These windows open fully so you can meet the space requirements with a smaller window overall. 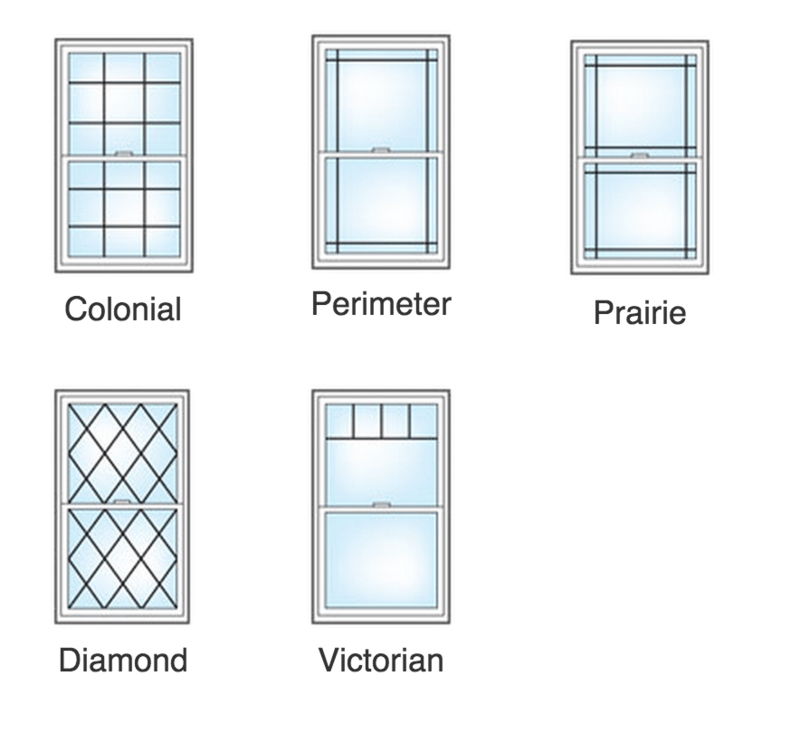 At ALCO, we’ll work with you to determine what the code for your area is and how you can meet that code with your window choices. We’ll help you design a window to meet your aesthetic requirements and home décor needs. 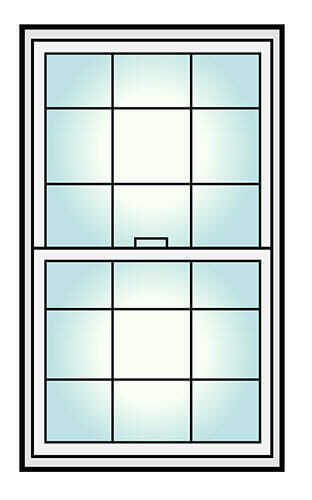 A replacement window is a window that is installed in an existing window opening as a replacement to the existing window. Over time, old windows deteriorate, becoming inefficient and drafty. Replacement windows exist so you can change the window without having to remove all of the existing trim. WHAT IS LOW-E & WHY IS IT IMPORTANT? Our window installers have years of experience and are factory trained to insure quick & successful installations. Most of our window installations can be completed in a day since all of our windows are custom measured and sized in the field. This speeds up the installation, eliminating errors which cause delays. If an installation takes longer it could be due to weather conditions or the volume of windows that need to be installed. There is not set price of the cost of replacement windows. You must take into account the number of windows replaced, their size, what style of window & which type of window. Are they premium energy star rated, do they have special energy efficient glass coating? All these factors account for the cost of new replacement windows and their installation and the benefits they provide long term. Energy Star is part of the United States government program that created guidelines to establish the energy efficiency of various products including windows & doors. It should be noted that over the past years Energy Star directions have helped double the efficiency of windows that meet their standards. HOW DOES REPLACEMENT WINDOWS SAVE ON ENERGY BILLS? Many old windows are single pane, today replacement windows come in double or triple pane glass with Low-E glass coatings. The addition of glass panes provide a greater barrier to ensure a windows efficiency. An efficient window uses less energy which lowers energy bills. WHAT IS GLAZING & WHY IS IT IMPORTANT? Grilles on windows form a decorative pattern on a window or door by dividing the glass into smaller panes which form a design. WHAT DO U VALUES & R VALUES REALLY MEAN? It is important when selecting a window or door to look for information that lists the products U-value & R-value. U-values illustrate the amount of heat that escapes through a wall, window or roof. You want to look for windows that have a low U-value because it means they are more energy efficient. R-values are the direct opposite, they portray an objects resistance to the ability for heat to flow. In essence the higher a materials R-value, the lower its U-value which means it loses less energy. R-values actually depend on the number of layers of glass a window has, what type of gas is between the glass layers and whether they have been treated with a Low-E coating. HOW TO SELECT A WINDOW CONTRACTOR? When choosing a window contractor make sure they are licensed & bonded. Check out the professional organizations them below too. How long have they been in business & what type of training have their installers gone through. Get references and check them out. Quite simply make sure they are professional, do they show up on time for appointments, are they respectful of your home, do they give you a written proposal and never give them money up front. Also, check for complaints from the BBB or your county consumer protection. 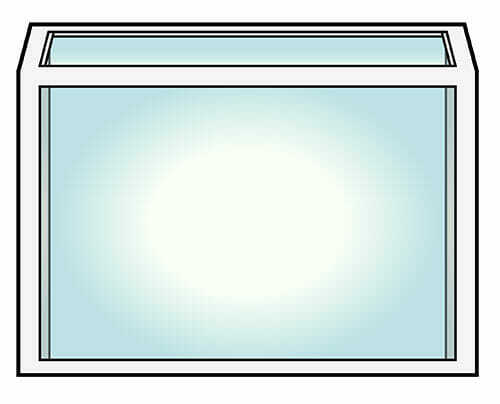 These are windows with glass that has been strengthened so when it is struck with a forceful object like a tree branch the glass will resist shattering. Impact resistant glass is recommended for homeowners who live in coastal areas prone to strong storms & hurricanes or live by a golf course. Though some people chose impact resistant glass for sound reduction if they live on heavily trafficked communities or for the extra security they provide.